We all know how huge of a difference a carpet can make in any given room. It plays such a big part of our interior design. However, as beautiful and cozy as they may be, carpets can also prove to be very hard to clean – and they get stained very easily. This makes them particularly attractive for a lot of germs, dirt, bacteria, allergens, and dust to gather freely. Therefore, regular maintenance is a very important factor in a healthy home environment. Possessing the proper equipment plays an important role in cleaning them. 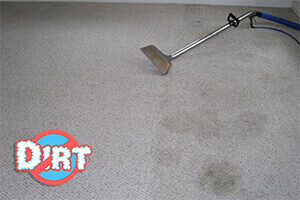 Here comes the good news – even if you don’t have the necessary tools, the time or the energy to deep clean your carpets and rugs, you can simply give us a call and we will do it for you. Our team can easily handle the upkeep because they are equipped with the best available steam cleaning machines from ProChem and Kercher. With them, our co-workers are able to clean both synthetic rugs or carpets. The delicate fibers will be treated carefully. Our team is fully instructed and has a lot of experience in the field. We always do a double check in order to be sure that the task is done exactly as it has to be. First, we hoover the carpet. Second, we use a hot water extraction machine to wash it. Third, we extract approximately 95% of the moisture for all the dirt to come out. Fourth, we have another happy customer! At our disposal, we have bonnet buffing machines, dry foam and shampoo, commercial vacuums, hot water, steam cleaners, and jet washing machines. Also, our products are eco-friendly and non-toxic, which allows us to guarantee the safety of your place. They do not cause discoloration or fading of the color. Our area of service is all boroughs of London and we have a flexible working schedule. This enables you to make your appointment whenever you want. Customer support is available around the clock for questions or reservations. You can have a free quote by email or phone. The prices we work with are affordable for everybody, whereas the quality always remains high. For more information about Neverdirt Cleaning Services or our offers we provide, check our homepage.